This simple sheet cake comes together in no time flat, but don't let that simplicity fool you—it's the perfect dessert for any holiday gathering, thanks to a bold dose of molasses and spices (plus buttermilk for a moist but fluffy crumb). Finish it up with a tangy dollop of cream cheese frosting or whipped Greek yogurt, either of which will offer the perfect counterpoint to the cake's earthy flavor. Brown sugar and molasses provide a bold flavor and mellow sweetness. Buttermilk helps with tenderness and rise. Whole wheat flour adds a nutty, graham cracker–like flavor. Ginger and cinnamon do the heavy lifting, but warm hints of nutmeg, cloves, black pepper, and Chinese five-spice powder add complexity and depth. Adjust oven rack to middle position and preheat to 350°F (180°C). 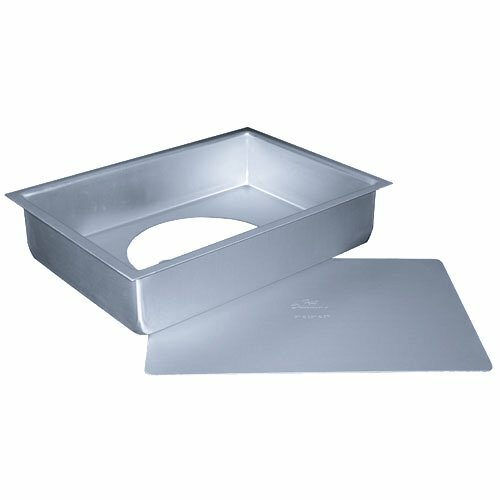 Line a 9- by 13-inch anodized aluminum cake pan with parchment, then grease lightly with pan spray. In the bowl of a stand mixer fitted with a whisk attachment, combine brown sugar, molasses, ginger, cinnamon, baking powder, baking soda, salt, nutmeg, cloves, five-spice powder, black pepper, and eggs. Mix on low until moistened, then increase to high and whip until foamy and thick, about 8 minutes. Reduce speed to low and drizzle in melted butter, then add all-purpose and whole wheat flours, followed by buttermilk. Once combined, shut off mixer and fold batter once or twice from the bottom up with a flexible spatula, then scrape into prepared pan. Bake until cake is puffed and firm (though crust will retain a light impression when pressed with a fingertip), about 32 minutes. Cool in pan until firm, then slice into squares with a knife. If desired, top with swirls of cream cheese frosting or whipped Greek yogurt. If you don't have whole wheat flour on hand, feel free to use an equal amount of all-purpose flour instead; the cake won't be quite as flavorful and tender, but it'll be close enough in a pinch.